New to Poepke this Spring are Sloane Angell ceramics. Based in Los Angeles, Sloane creates vases and planters known for their striking colours and textures. There are vases with dripping turquoise and oxblood glazes, and planters with shiny veneers and portions left raw. We talk to Sloane about his design background and approach to his craft. Before you focussed on ceramics, you were part of Marc Jacobs’ design team. You also have your own label – Mercer Market. Tell us what prompted you to change direction? I started making ceramics in 2000, while I was in high school. I have kept the craft ever since. My clothing company Mercer Market took a few years to get off the ground. Now that it doesn’t require all my time, I was able to get my hands back in clay. I really enjoy splitting my time between both projects. You know live in Los Angeles after living in New York and Maryland. Does L.A inform your work in any way? I think L.A changes the way I work based on environment, but I don’t think it effects my aesthetics. Fortunately my vessels seem to translate well in the homes here, I have been very successful with local customers collecting my work. 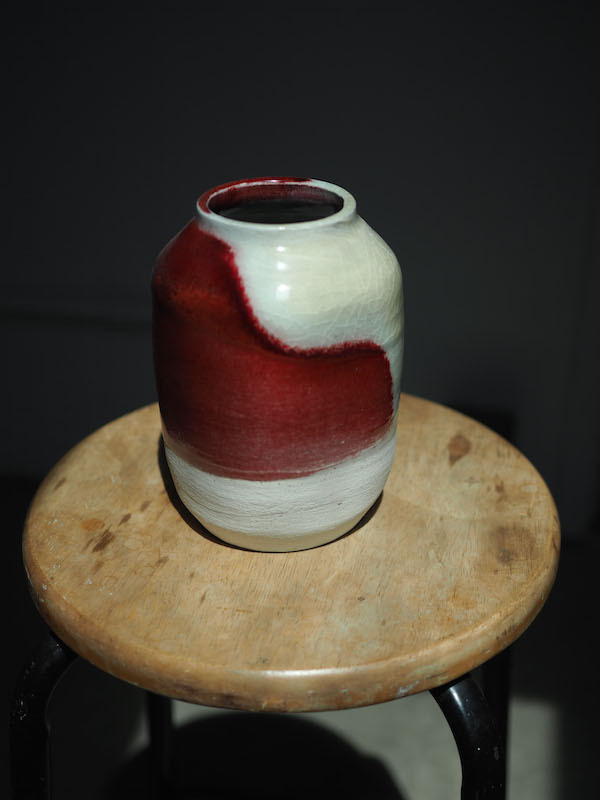 We especially love the oxblood and turquoise drip glazes on your pots. What inspired your use of colour? These are some of my favourites as well. A little secret about these colours; the blood red and turquoise are actually the same glaze. It reacts either way depending on a specific firing method. Both colours evoke a great response from the viewer. The blue drips on porcelain have become somewhat of a signature of my work. 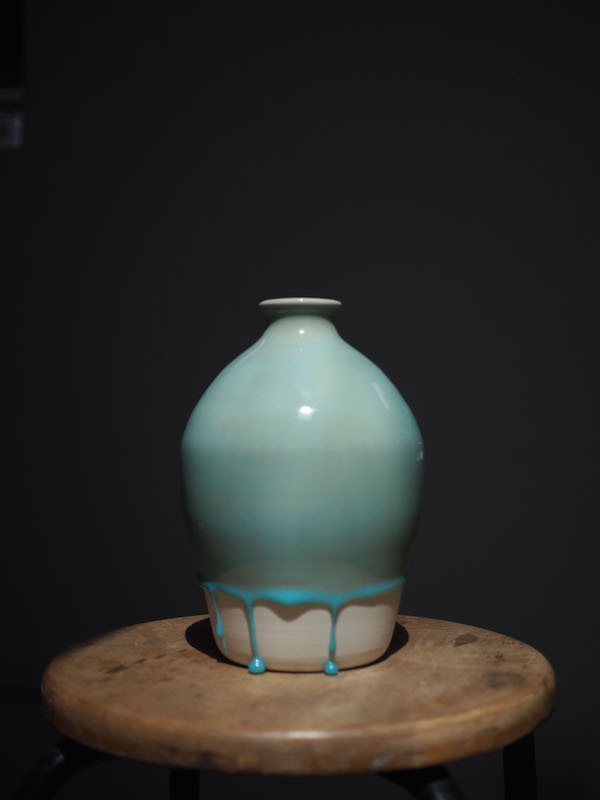 You have also worked under the L.A based ceramicist Mirena Kim. What did you take away from your time with her? I wanted to learn production techniques and the day to day of a ceramics business. I was extremely fortunate that Mirena hired me, and allowed me to work and learn with her. She taught me a lot of great practices for being a successful potter. What is the favourite part of your craft? I love the process of changing ideas into form. My ceramics are handmade, functional art. 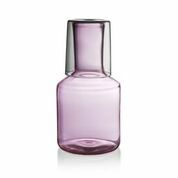 Dishwater or vases that can be used on a daily basis, hopefully serving many generations of owners. Each piece is unique and individual. 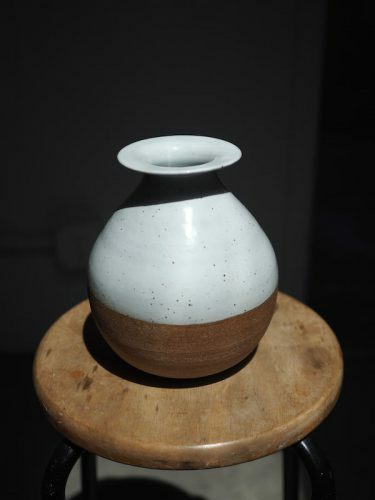 You can view Sloane Angell’s Ceramics here. At Poepke, we’ve recently discovered Maryse – a range of potent, nutritive botanical skincare. 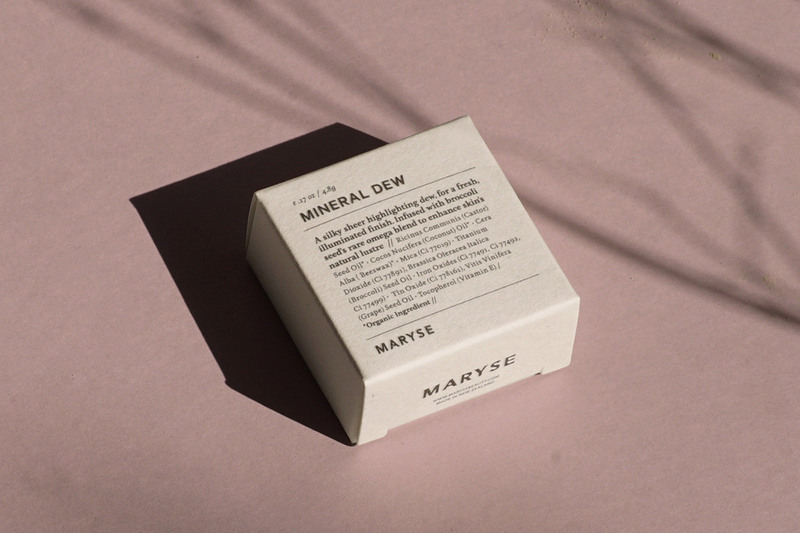 The collection is the brainchild of Maryse O’Donnell, a beauty specialist from New Zealand who uses many of the native ingredients her homeland has to offer in her optimal blends. With her pared-back approach to beauty, her formulations are comprised of rich ingredients and subtle scents. We chat to Maryse about her beginnings, her brand, and what we should be doing with our skin. Tell us how you became to be a natural beauty specialist. After being in the beauty industry for a long time, I had worked with so many skincare brands but felt there was a lack of really effective natural and organic products out there. So, I decided to develop a collection myself using highly concentrated, botanical ingredients. I feel there is a shift away from mass market beauty and a move towards more honest, bespoke, handcrafted product. We formulate and produce everything in our studio in Auckland. 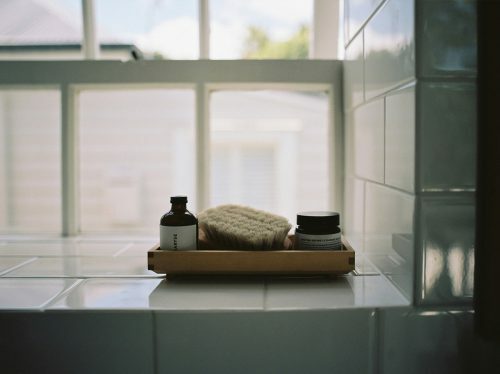 Some of your ingredients are sourced locally in New Zealand where you are based, such as the clay and the Manuka Leaf. Where do you source other ingredients from? There is an amazing selection of native, botanical extracts and ingredients to work with here in New Zealand. I use locally sourced ingredients wherever I can in my products. Where the formulas require a specific non-New Zealand ingredient, we make sure they meet our standards for purity and sustainability. What’s your go-to product at the moment? Over the cooler months we can forget about the skin on our body, so the Multi-Vitamin Body Oil is my go-to as it delivers a concentrated boost of vitamins and omegas to replenish moisture levels that may be depleted over winter. It’s fast absorbing, revitalising and has the unique natural scent of green fig and tea leaves. If you could give us one tip of how to improve our skin, what would it be? My approach is rather simple and pared back. I would suggest using pure, plant based skincare. Not only because they are free from toxic ingredients but because they are far more nutrient rich and beneficial for the skin. The collection coalesces naturally with other active ranges, providing a base to add to as needed. But really, my advice is – keep your beauty rituals simple! Dries Van Noten is a designer that has always had a cult following. The fact that his recent AW17/18 runway show was his 100th is a testament to that. 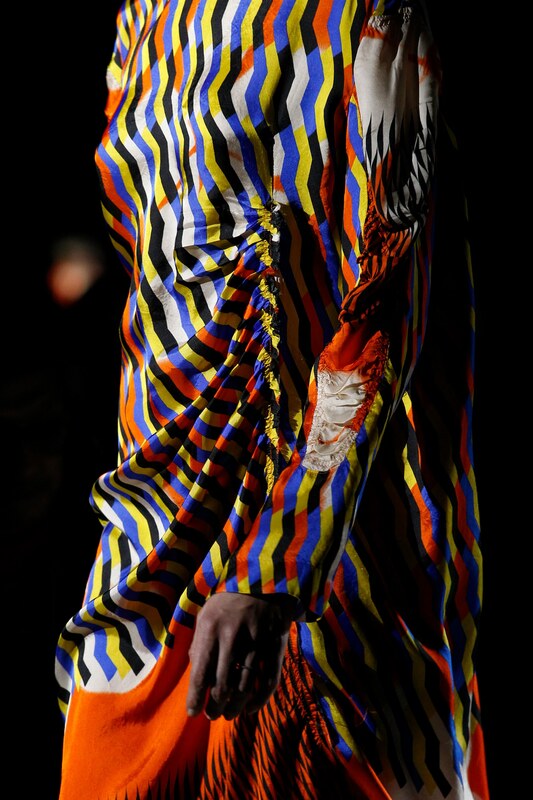 Currently, Poepke is celebrating this landmark moment with new arrivals from his latest collection. Featuring celebrated prints from seasons past, each have been given a new direction with overprinting or embroidery in geometric shapes and vivid colours – think electric blue, mustard and fluorescent orange. You can view the new arrivals, currently in store here. Jodie Boffa has been designing clothes both here in Sydney and in London since the mid 1980’s. Over the years, numerous trips to Japan for work helped to forge her love for vintage kimono fabrics, of which she amassed a number. Finally the time was right for her to put her hand into designing a capsule collection out of these vibrant fabrics, giving them a new lease of life. Poepke is proud to be the exclusive stockists of her range, as part of our Projects at Poepke, an initiative which heralds the work of Australian designers. We sat down with Jodie to ask her about how it all began. What drew you into designing clothes and how long have you been designing for? I’ve been designing clothes since the mid 1980’s but wanted to be a designer since I was four years old. I worked locally and then in London for Jasper Conran. After that I started my own business in 1989. I built up a label that was known for being minimal (very 1990’s) using the highest quality fabrics from Europe and a team of skilled makers in Australia. I have always loved my job but as my business grew I started to hate the fact that I could only operate in the established channels of the industry. So I closed it in 1998 after taking over as the designer for Jets Swimwear. What is the inspiration behind the collection for you? 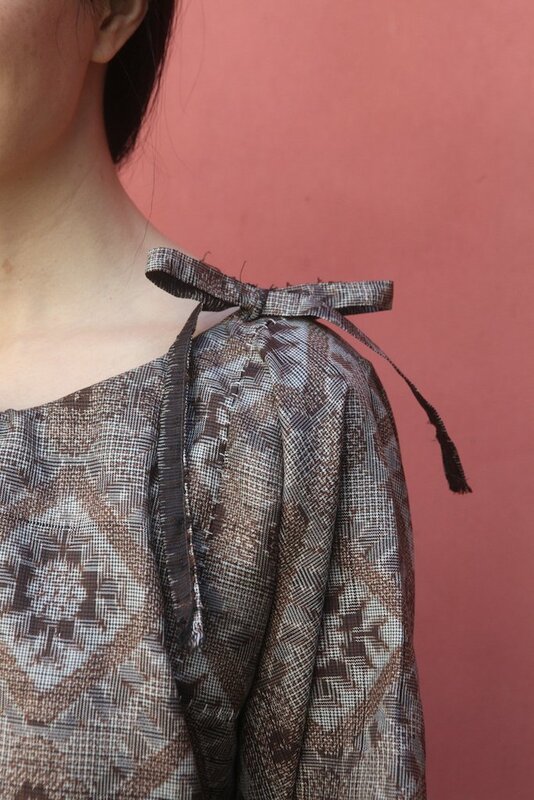 The inspiration came directly from the fabric. 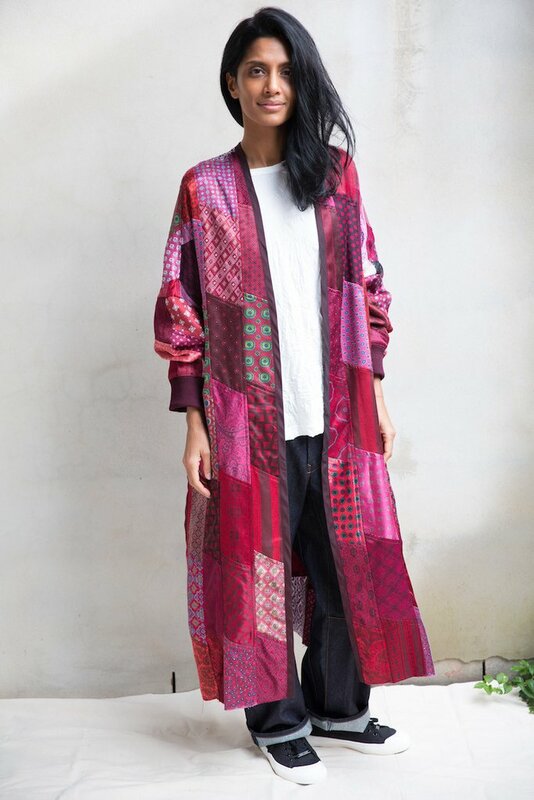 I love the fact that you can see the individuality of the fabrics and how the ikat style weaving has so much life. The colours are so rich a way that prints aren’t. I looked at them over and over and wondered how I could make them wearable while honouring each fabric ( the fabric is only 14 inches wide) to make something precious, fashionable but not trend driven or throw away. 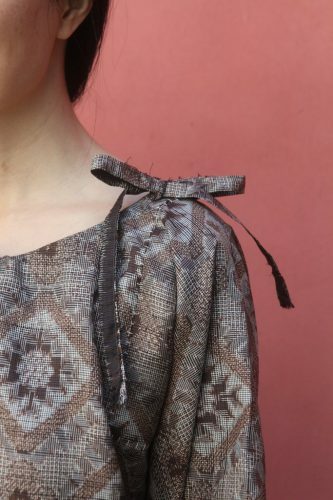 I also liked the idea of reinventing fabric that exists and not using more resources. 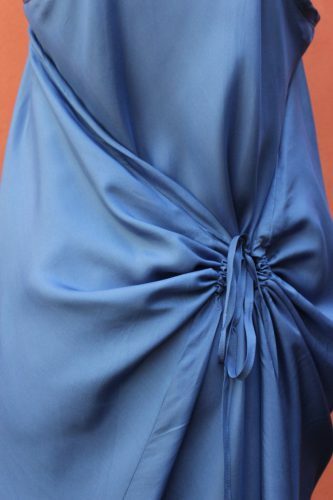 Your collection has a beautiful array of fabrics in different vintage silks. Where do you source your fabrics from? I used to travel to Japan each year for my business and over more than a dozen visits I started collecting kimono fabrics from markets and dealers just because I liked them. 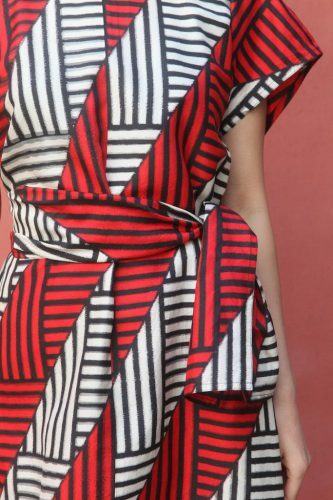 The more graphic designs are Miesen Silk which were produced to meet the demands of a new trend drive “ready to wear” market in Japan between 1912 – 50. It was not popular or manufactured after 1950. 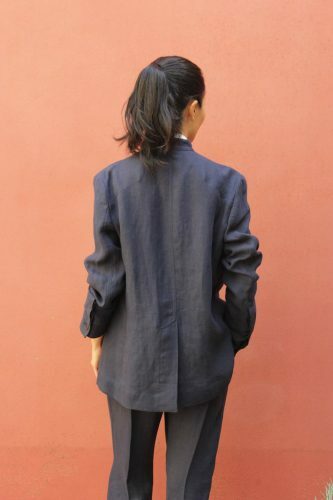 The others are Tsumuji, which are plainer and more like suiting made around 1950. 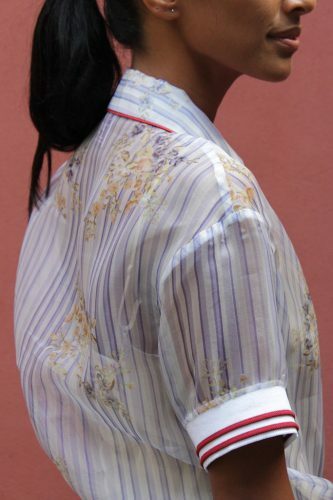 The Acetate is Japanese and the Cotton Poplin is French. Do you have a particular person in mind you want to dress when you design? The person I have in mind is someone who knows their own style and is intelligent about the way they dress. 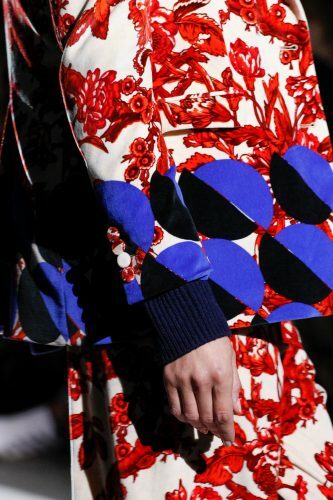 Someone who has an understanding of the cycles of fashion and buys well, who holds onto their favourite things forever. Someone who loves quality and good design but wants something different. Someone who is starting to become interested in where and how their clothes are made. Tell us about your favourite piece or aspect of the collection. My favourite aspect of the collection is that the garments are very wearable. I like the fact that they are are unrepeatable so you won’t see yourself at an event or walking down the street. Also, the fabrics feel great. My favourite piece is one I have a called “Scribble”. I love that the design is nuanced like a drawing. You can view Jodie’s collection here. It was back in the 1970’s that Linda Farrow established her eponymous eyewear range. 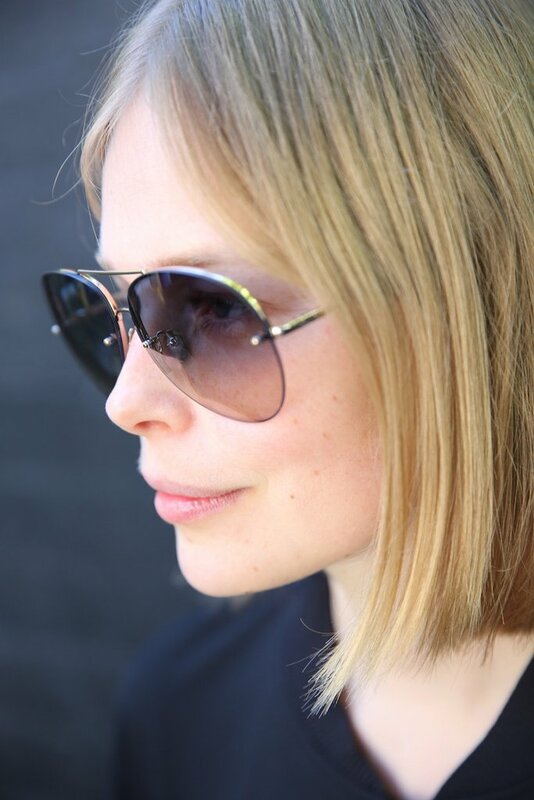 With a background in fashion design, it was natural for Farrow to see sunglasses as a fashionable and covetable item and become a forerunner in collaborating with designers to showcase them as such. 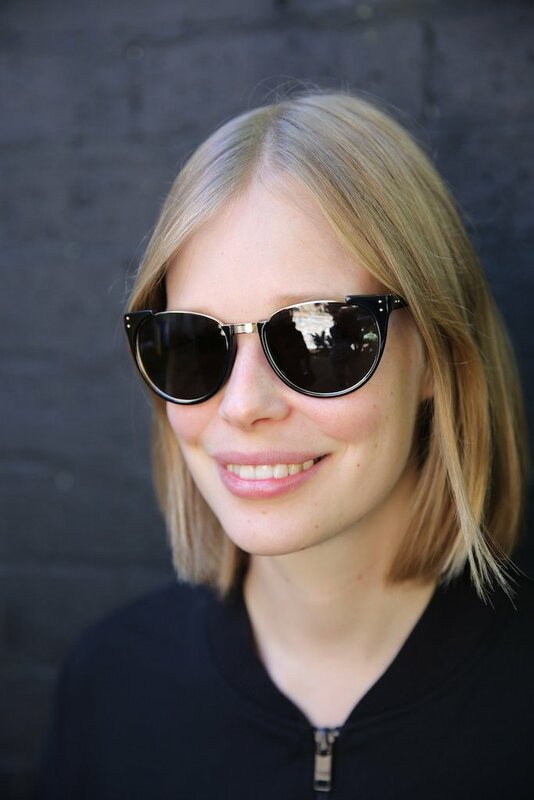 The brand was relaunched in 2003 under the helm of Farrow’s son Simon, whose renewed interest in his mother’s eyewear occurred when he came across a vast array of vintage sunglasses in the family’s warehouse. The AW17/18 Linda Farrow collection new in store at Poepke features cats eyes, aviators and Iris Apfel-style frames in tortoiseshell, rose gold and black. To see our selection, come in and try some on with us, or browse online here. Travelling through Europe and Asia, Sydney-sider Brad McGlashan would buy scarves as souvenirs from his travels. 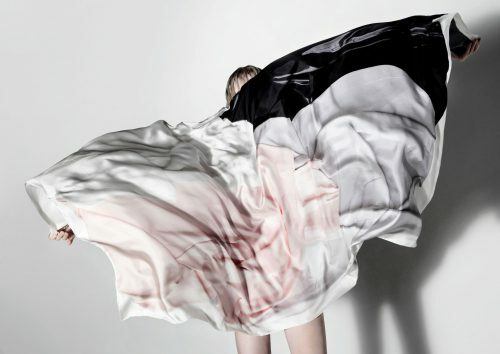 Now, he helps local artists transform their paintings to wearable artworks in limited edition scarves, for his label Skarfe. Poepke is proud to stock two of these collaborations. 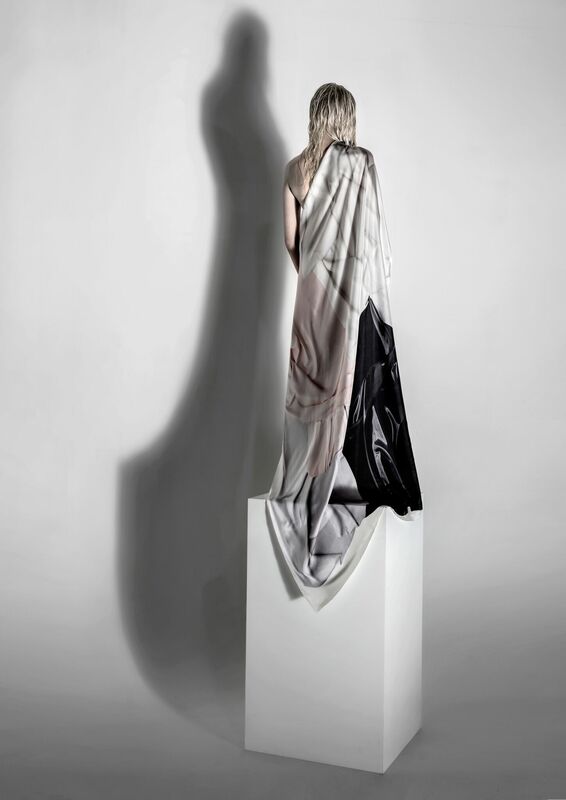 One scarf, a blend of cashmere and modal features the artwork of Potts Point artist Nell. Showcasing a ghostly figure amongst hanging AC/DC charms, it reflects the artist’s love of Rock n’ Roll and of turning the negative emblems of our culture into happier ones. West Sydney artist Huseyin Sami’s works play with the way he applies paint to his canvases. His own feet, shelving and a nine metre-handled brush have all been implements. His print for Skarve has big stretches of paint in silver, pastel pink and oily black interloping on silk twill. Y’s by Yohji Yamamoto new pre-fall collection for 2017 has arrived at Poepke, with strong splashes of colour alongside his usual sculptural basics of black, white and navy. One of the new prints features Jackson Pollock style drip painting reminiscent of origami cranes. A signature piece from the collection is the quilted house coat made of patchwork pieces of printed pyjamas in fleur-de-lis and paisley. 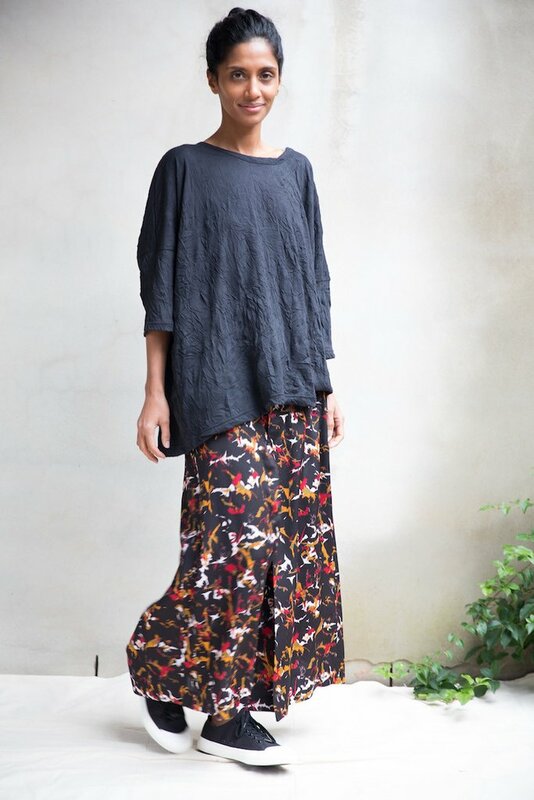 Sourced from French and German pyjamas form the 1960’s and 1970’s they are a soft blend of cotton and viscose that are perfect for reclining in the winter sun. 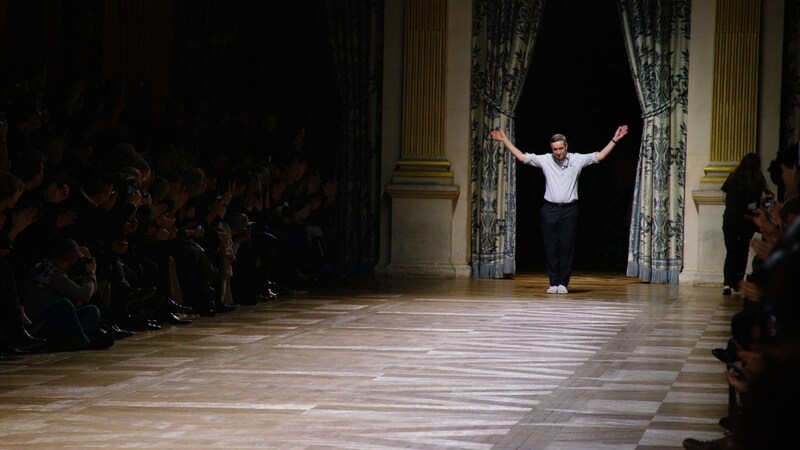 Growing up, designer Haider Ackermann was constantly on the move. His father was a cartographer and would bundle up the family and take them on journeys to locales such as Algeria, Chad and Ethiopia, before Ackermann settled down in the Netherlands to attend high school. Describing the collection as ‘Paradise Birds on Acid’ and featuring fluttering ribbons and couture details, Poepke is proud to have garments from Haider Ackermann’s SS2017 collection, in store now. 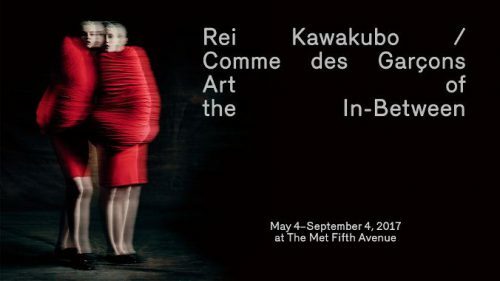 Like a schoolgirl refusing to come in from the playground when the bell rings, Rei Kawakubo the designer and founder of Comme des Garçons, has an aversion to the boundaries people like to confine her to. 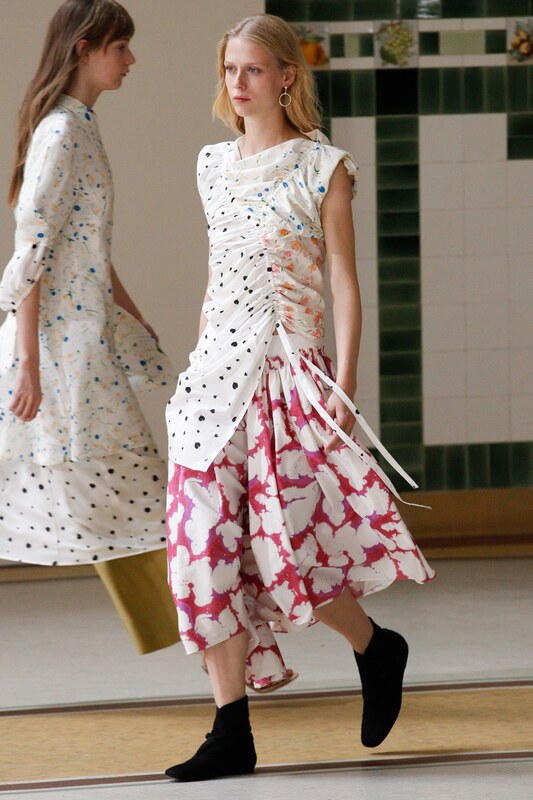 Whether it is designing clothes akin to sculptures that evade the silhouette of a woman’s body or shunning words that seek to bind her and her work to meaning, Kawakubo is a renegade to the definitive. “The meaning is that there is no meaning”, she says of her work. 150 of her designs are currently being celebrated by the Metropolitan Museum of Art in New York, the first for a living designer since 1983. 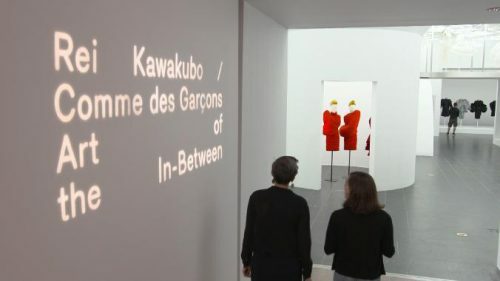 In following her command, no text appears on the walls of the exhibition. Instead the garments are organised under neither here nor there ‘expressions’ that embody Kawakubo’s reverence for spaces in between. Design/Not Design, Fashion/Anti-Fashion and Self/Other are a few examples. Poepke is pleased to have Rei’s labels Comme des Garçons Girl, Comme des Garçons x dr martens and Comme des Garçons x Spalwart in store. Pre Spring Summer 2017 Collections Now On Sale! Pre Spring Summer 2017 Collections are now 30% off online & in store! Stella Jean, Haider Ackermann, Lemaire, Issey Miyake, Y’s by Yohji Yamamoto, Maryam Nassir Zadeh & Joao Vaz. Screening at this year’s Sydney Film Festival is an intimate portrait of Dries Van Noten as seen through the lens of documentary filmmaker, Reiner Holzemer. In a world of trends and globalisation, Dries has retained his independence working with his long-term partner in life and business, Patrick Vangheluwe, for almost 30 years. Notoriously private, Dries opened his elegant home to director Holzemer’s camera. 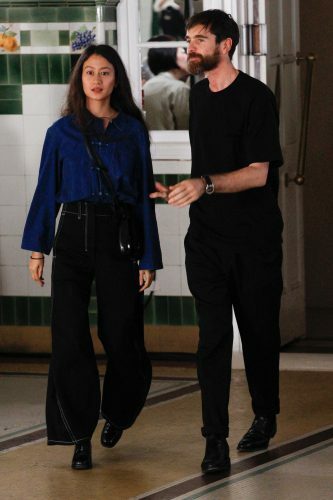 The film also takes in extravagant fashion shows, visits to his dedicated embroiderers and the studio where embellished silks and fabrics of every hue are displayed. Dries’s creative process and distinctive approach to fabrics and prints is lovingly detailed in this intimate documentary. For ticketing information and session times, check the Sydney Film Festival site. The origins of the word kowtow comes from China. Here the act of kowtowing is considered the highest form of reverence where one kneels and bows so low, their head touches the ground. A fitting name for a clothing line whose aim is to respect not only the earth their organic cotton comes from, but each of the hands that touch its garments. 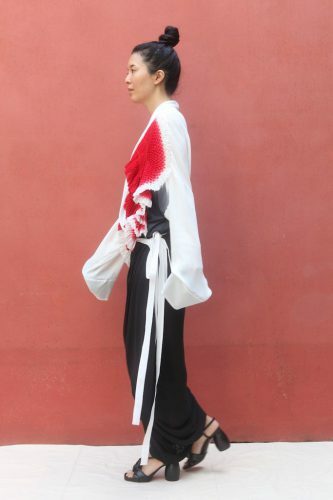 Kowtow’s origins began in Wellington, where designer and founder Gosia Piatek grew up after fleeing Poland with her parents at the age of five. Despite having no background in fashion, after graduating from University, Piatek was in search to do something meaningful. When a friend suggested founding a Fair Trade organic cotton business, she took the idea and ran with it. Piatek and her team work solely with organic cotton to create apparel from the seed to the garment. The transparency of this journey allows their customer insight into the origins of their clothing item. To do this they work exclusively with a farm and factory in Calcutta, where fair wages are a must and ethical work standards and balanced hours for their employees means working a season ahead of most other labels. 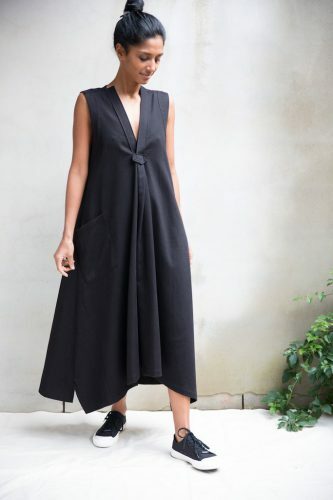 The quality of Kowtow’s fabrics and their eye for details – each button and trim is sourced and produced ethically, both environmentally and socially – has garnered Kowtow a cult following of women around of the globe. The label now has retailers in New York, London, Paris, Copenhagen and Tokyo and is celebrating ten years in the business. Poepke is proud to have this considered label adorn their hangers. 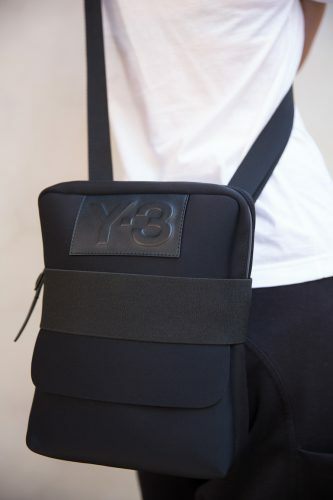 Latest delivery of new season Y-3 has arrived! 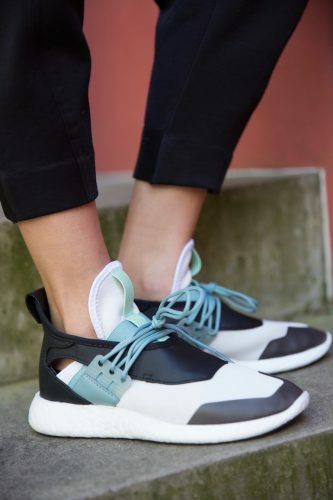 Come visit us at Poepke to see the exciting range of sneakers, bags and clothing. Just in time for another lazy long weekend the Maison Balzac new season’s homewares and candles have arrived. 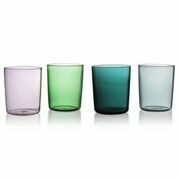 Delicate handmade drinking glasses in tinted pyrex now come in two sizes and four colours; rose, greenery, smoke and teal blue. The new carafe and drinking glass set “J’ai Soif” (translates to “I’m thirsty”) was inspired by a traditional French bedside table set for night time hydration. 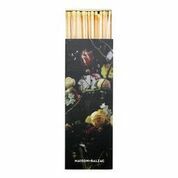 Plus all your favourite scented candles have been restocked along with the extra long candles. Just add wine, water, bath salts. 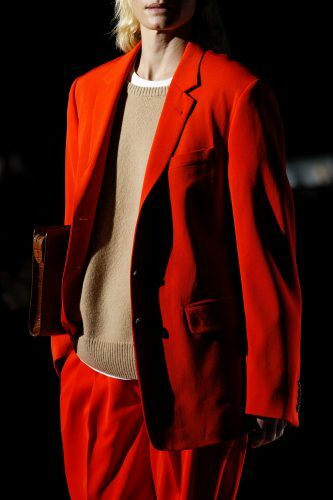 This week our second delivery of Lemaire has arrived and it is even more beautiful than anticipated. The Spring Summer 2017 collection blends Lemaire signature style crisp cottons with feminine pleating, ruching and smocking All over prints sit next to cream, tobacco and deep indigo hues. The cropped wide leg sailor pants, fine striped cotton shirting and the amazing red pleated dress are just a few of our favourites.